Zelda fans – Looking for something to go with your new Master Sword & Hylian Shield? Here’s a fun idea for some last minute Halloween decorations. 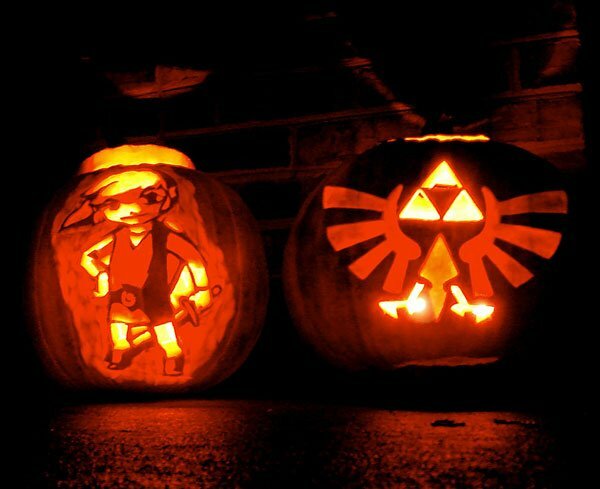 Found on flickr, these Link and Triforce Jack-o-Lanterns were hand-carved by Fred Fisher (aka “b1uefish”) and his sister. These pumpkins truly Hy-rule!